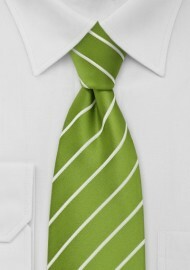 A stunning striped tie in Chartreuse green and bright white. This tie is perfect for those seeking more color on suit and tie. 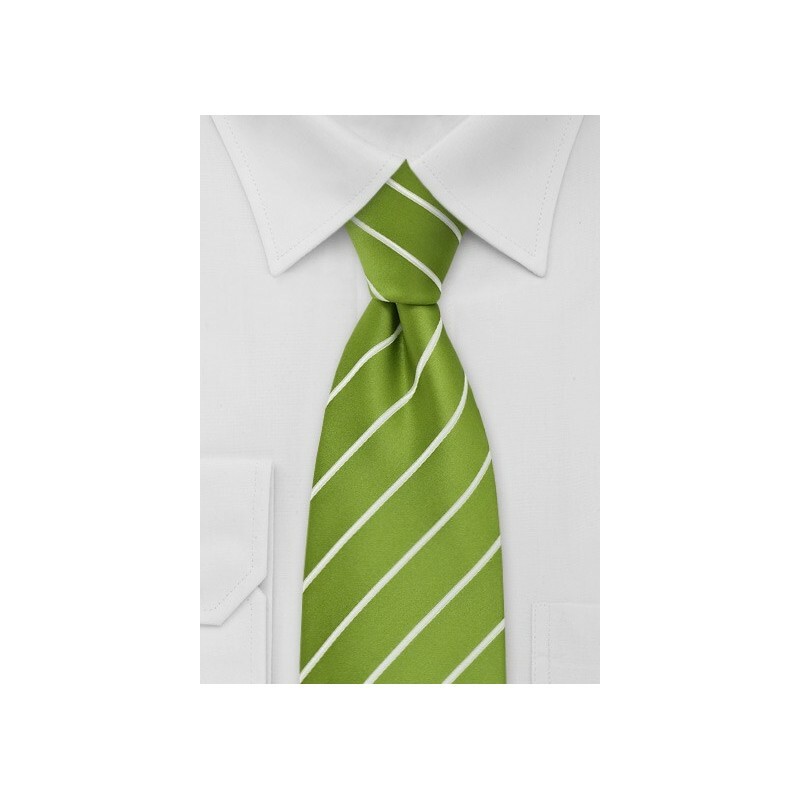 It is a tie for those that are not afraid to show color but still want to look professional for everyday business. This tie is made in XL length of 62 inches. It is a tie that suits men taller than 6 foot 3 inches or those that have a larger than normal collar size. Made from stain resilient microfiber this tie looks and feels like a pure silk tie but has the advantage of being more resistant to stains and wrinkles.